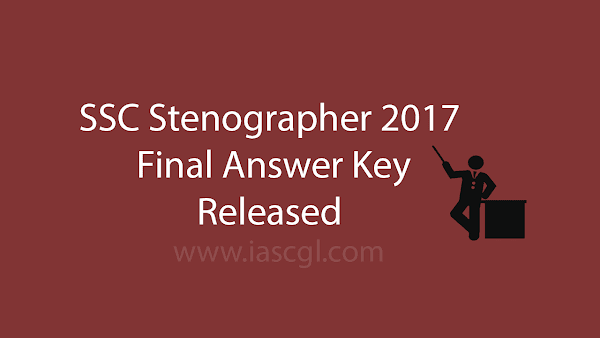 Staff Selection Commission(SSC) released final answer key of Stenographer Exam. Staff Selection Commission released final answer key of Stenographer exam. A tentative answer key was released earlier to raise objection from students. Candidate can check final answer key with question paper from the official website of ssc at ssc.nic.in or from the direct link given below. Candidate have to fill their details to check answer key.